Christians have assembled in houses since the beginning of Christianity; the house church movement began in the 1960s as an attempt at reformation of the structure of “church” as it was commonly practiced in almost all of the denominations of the day. Its followers attempt to return to New Testament norms and believe that house churches represent a superior way to achieve the goals of the church according to the New Testament. Groups within the house church movement are noted for networking, various doctrinal stands, a charismatic influence, and multiple models and patterns of their own particular house church practices. While there is no inherent Biblical difficulty with meeting in homes, the theology of the house church movement, along with their understanding of the church, assemblies, and the Lord’s Supper, marks it off as its own movement worthy of consideration. House Churches or Churches Assembling in Houses? As has been said above, Christians have met in houses throughout time; many groups did so during times of persecution or where it was not practical to use another facility. As will be seen, throughout the majority of this time, there was no house church theology per se: Christians simply met in homes when such was necessary or desirable, but did not attach much significance to it. Beginning in the 1960s, and especially in the 1970s, a concerted movement began, especially among evangelicals, to return to the structure of New Testament churches and thus established house churches1. Such, in many ways, was a reaction to perceived failures and abuses within the “institutional” church organization. House church movement participants began establishing a theology of the house church, combining certain scholastic interpretations of history with aspects of New Testament belief and practice, and this endeavor continues to this day. The movement remains small but is growing throughout the country and the world. Many house churches exist outside of any specific denominational structure; they represent nondenominational groups having association with one another. All kinds of models for house churches exist. There are many movements within various denominations that are somewhat similar to the house church movement, especially the “cell church movement” present within many denominations. 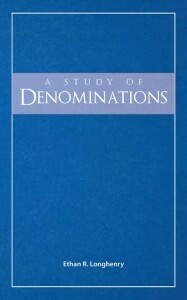 Small group tendencies within denominations are also similar to the house church concept, but do not go to the same lengths, nor represent singular cohesive units as do house churches. Furthermore, house churches can be found within almost every denomination and/or movement; many Anabaptist and Pietist groups are known for having many house churches. Many of those in the house church movement would consider themselves evangelicals; house churches often manifest ecumenical tendencies in their associations and networks. Since house churches are extremely diverse, it is impossible to make entirely accurate characterizations of any individual congregation. The list below represents a likely range of doctrines consistent with many in house churches. As we begin, it is important that we establish that early Christians in the New Testament did indeed assemble in houses, and that there is nothing wrong per se with Christians assembling in a house. The house church movement came quite a bit later than the New Testament and has developed a “theology of the house church”: it is now posited that the house church represents the fundamental building block to corporate Christian life and is superior to churches meeting in buildings in almost every way2. Many in the house church movement, therefore, believe that early Christians deliberately chose to meet in houses and that God expects house churches to remain normative. This belief is justified by appealing to the family imagery used in relation the church in passages such as Matthew 12:46-50 and the idea that the house church is the base unit in passages like 1 Corinthians 11:18, 333. Do the Scriptures teach that house churches were established, or did churches simply assemble in houses? As we have said, Christians met in houses, but the New Testament betrays no indication that the presence of the church in a house was considered important or critical. Christians also assembled in the Temple/Solomon’s Portico (Acts 2:46, 5:12; house church movement perspectives on these assemblies will be spoken of below) and in schools (Acts 19:9). Such locations are mentioned quite simply; to believe that the early Christians placed great value in meeting in houses per se goes beyond the evidence provided by the New Testament. Paul here indicates the quality of assembling: “come together in the church”. While it is most likely true that the Corinthians met in a house, specifically the house of Gaius (Romans 16:23), there is no mention of this here. All that is important is that the church “comes together”; extrapolating that the location of the coming together is significant reads too much into the text. We can clearly see, therefore, that the assumption that the “house church” was God’s deliberate intention for the church comes without Biblical merit. Based upon the New Testament evidence, all that can be firmly established is that most often, early Christians assembled in houses. Many in the house church movement also posit a different perspective regarding the nature of the local church in the New Testament. In this view, house churches of between 12-20 (the size based upon the assumption of what an average Roman house could fit) would assemble frequently; there would be many such house churches in a given city or region. These house churches would occasionally come together for a “celebration” as what is often called a home church-based congregation4. According to this view, when Paul writes to the church in, say, Rome, he is writing to the “home church-based congregation” of the city or the network of house churches in Rome. This view is justified by interpretation of historical data, along with Romans 16:15, 1 Corinthians 16:19, Colossians 4:15, and Philemon 1:1-2; Acts 2:42-47 is the quintessential example of the “house church” and the “celebration” of the “home church-based congregation5.” Let us consider the matter. Here Gaius is called the “host of the whole church”. House church movement advocates may attempt to say that such represents the “celebration” of the “home church based congregation”, but such an entity must be first proved to actually exist before it can be considered evidence. What is stopping Gaius from continually being the host of the whole church? In the rest of the passages, an interesting trend exists. In Romans 16, the brethren are to salute the church that is in the house of Aquila and Priscilla (Romans 16:4-5), yet the “households” of Aristobulus and Narcissus are to be greeted (Romans 16:10-11). Why are they not listed as having “churches” in their houses? It may be argued that it is odd for Paul to tell the church in Rome to greet the “church in the house” of Aquila and Priscilla if they all represent that church. Is it not just as odd, however, if the “church in the house” of Aquila and Priscilla represents a constituent part of the church in Rome and no other such “church” is mentioned? When Paul speaks of the “churches in Asia”, would anyone think that he refers to individual house churches or the collective churches in the various cities in Asia (cf. Revelation 2:1-3:22)? Why would he speak of the “home church-based congregation” and then turn around and speak of the “church” in the house of Aquila and Prisca, a house church, using the same terminology? Such is entirely inconsistent with the evidence. The whole basis of this delineation derives from Acts 2:42-47, which is considered the normative pattern for the church by many adherents to the house church movement. And they continued stedfastly in the apostles’ teaching and fellowship, in the breaking of bread and the prayers. And fear came upon every soul: and many wonders and signs were done by the apostles. And all that believed were together, and had all things common; and they sold their possessions and goods, and parted them to all, according as any man had need. And day by day, continuing stedfastly with one accord in the temple, and breaking bread at home, they did take their food with gladness and singleness of heart, praising God, and having favour with all the people. And the Lord added to them day by day those that were being saved. Many things are immediately apparent in this passage: no collective is called “the church” in this passage, and the breaking of bread was done “at home”, not indicating the pluralities assumed by house church movement advocates. This interpretation is based on assumptions about Roman houses and the inference that the Christians in Jerusalem met in multiple homes and then came together in the Temple as one. Even if it were true that they met to eat meals in various houses, such is not called “the church” or even an “assembly”. Their assemblies, in reality, took place in the Temple, as established in Acts 2:46, with the events of Acts 2:42 dictating much of what was done in those assemblies. There is no indication that the Christians in Jerusalem perceived themselves as being part of “house churches” at home and then part of a “home church-based congregation” when meeting in the Temple. The belief that Acts 2:42-7:58 is considered normative for Christians also should be challenged. Selling of all possessions, the unity of the accord of the brethren, and their level of togetherness (Acts 2:42-47, 4:32) are not seen in any other church. Paul must tell Timothy to counsel the rich among the brethren regarding how they should conduct themselves (1 Timothy 6:17-19); James and John both speak regarding Christians who do not help their own in need (James 2:1-9, 1 John 3:17). Christians assembled on the first day of the week (Acts 20:7, 1 Corinthians 16:1-3); there is no indication of daily assemblies as in the early church in Jerusalem. When we see these contrasts and examine the context, we can see that the early church in Jerusalem did extraordinary things on account of extraordinary circumstances: many from all over the world had been converted and needed support, and the foundation of the church led to great zeal and determination to follow in the footsteps of the Christ. The fact that the example of Jerusalem is not enjoined on later churches– weekly assemblies are not condemned for being too infrequent, James and John do not indicate that selling all one has is normative– indicates that the situation is not expected to represent the norm. Christians should be willing to do everything that the early Christians in Jerusalem did if circumstances demand it. When circumstance provides no such demand, there is more liberty. There is no basis, in the New Testament, to consider the situation of the early church in Jerusalem as being the norm. When Paul writes to various churches, and later Jesus through John in the Revelation, the authors do not betray the idea that the local church represents multiple house churches as a home church-based congregation. In all circumstances, the authors speak of a coherent church: they address the strengths and weaknesses of the brethren, even speaking of different factions within a given church. Are we to believe that in a given city, each individual house church had the same strengths and weaknesses as its fellow house churches? No two New Testament city churches are the same: how then are we expected to believe that Paul, John, and others can write to multiple individual house churches in such a way that we only see a coherent unity within the church of that city, whether for good or ill? That is indeed too much to swallow! The New Testament makes it clear that there was normally one church per city and that when Paul wrote to Rome or John to Ephesus, they were writing to one coherent body that very well might have met in the house of one of the brethren. The house church movement view of the churches of the New Testament is without Biblical foundation. Many in the house church movement, in various ways, overemphasize the role of the church and particularly that of the local church. Some go so far as to say that Paul only speaks of local churches in the New Testament6. Others have such an exalted view of the local church that the individual has no room for existence: the focus is not to be on Christian growth as much as multiplication of churches, mission is seen as the church sending itself out in a multipliable unit, the church is the good news (the Gospel), and the church must be part of everyday life7. Do the Scriptures support these assertions? While Paul often speaks of churches in a local sense, there are other times where such an identification is not so simple. Paul speaks of “the church” in Ephesians 5:22-32, going so far as to call “the church” the “body” of Christ (Ephesians 5:29-30). A chapter before, in Ephesians 4:4-5, the same author confidently establishes that there is “one body”. It is manifest that there are many local churches and yet the “body” under discussion is clearly singular. Paul does not speak only of the local church; he also has the “universal church” in view in many passages. As can be seen in detail in The Church Treasury, I: Benevolence: The Individual and the Church, 1 Timothy 5:16 indicates that there are responsibilities that individuals should bear so that the church would not be burdened. This principle illustrates the reality that while the church consists of its constituent individuals, each individual is more than the church. Christians went out and promoted the Gospel (Acts 8, 13:1-3), and the Gospel was always the “good news” about Jesus Christ and His redemptive work for man, not the church per se (Romans 1:16, 2:16, 1 Corinthians 1:17). The individual Christian, not the church, represents the basic unit of Christianity (e.g. James 1:27). A strong emphasis on the collective to the exclusion of the individual is not Biblically justifiable. Since the house church movement is a reaction to the perceived failings of “institutional” churches, it should not be surprising to find some elements in the movement going beyond the Scriptures in their opposition to those failings. Many house church movement advocates will present a dichotomy between “church as life” and “church as meeting,” contrasting “family fellowship” with “impersonal structures8.” Is this a legitimate dichotomy? There is no doubt that institutional structures have often hindered family-type fellowship which ought to exist among brethren. On the other hand, we must remember that the Greek word translated as church is ekklesia, which has a base meaning of “assembly”. The “assembly” could be as disorganized as a mob or as organized as a legislative body (Acts 19:32, 39), but they are all marked by a group of people “coming together” or “assembling”. If we speak of “assemblies” and not “churches,” the ludicrousness of the statement is clear: “the assembly is not a series of assemblies”. Yes, the members of the church should interact with one another, both inside and outside of the assemblies (cf. Acts 2:42, 1 Peter 4:9). There is no Biblical justification, however, for the dichotomy. Christianity can be a way of life that involves assemblies with other Christians. Christians can share in family-type fellowship and assemble in buildings with a structured service. Responding to excess with excess is not finding the truth! The hallmark of many house churches within the house church movement is the focus upon what is called the Lord’s Supper. Many believe that the Lord’s Supper was originally a meal; many, in fact, do not see the Lord’s Supper as a separate ritual, but “an ordinary meal with extraordinary significance.” They justify this with Acts 2:46 and 1 Corinthians 11:339. This has led many to abandon bread and fruit of the vine entirely, considering whatever is eaten during the meal to be the “Lord’s Supper”10. This represents a focus entirely on the “communion” aspect of the Lord’s Supper. Is this the way that the Lord’s Supper is presented in the Scriptures? Wherefore, my brethren, when ye come together to eat, wait one for another. If any man is hungry, let him eat at home; that your coming together be not unto judgment. And the rest will I set in order whensoever I come. This is no mere condemnation of “excess”; if any is “hungry,” they should eat at home. If the Lord’s Supper in the assemblies of the saints was supposed to represent a full meal, why would anyone need to “eat at home” if they were “hungry”? Would they not eat fully at the meal? Notice that Jesus takes the cup “after supper”. The Lord’s Supper was inaugurated in the context of the Passover meal (Luke 22:15), yet it was not the Passover meal. It was a ritual act done after the actual meal was eaten, and it was designed to have significance. If Christians do not eat “this bread”, and do not drink “the cup”, do they still proclaim the Lord’s death? There is certainly the aspect of communion within the Lord’s Supper: it is to be shared together (1 Corinthians 10:16-17). “Communion,” however, is not the only aspect involved in the Lord’s Supper. Paul has provided an explicit tradition that he enjoins upon the Corinthians, and we by all means should observe it likewise. The Lord’s Supper represents a ritual meal designed to bring Christians together in a memorial of the sacrifice which reconciled them to God and the resurrection which gives us hope, and it should not be confused with a common meal. Different house churches and house church networks maintain varying structures of leadership. One model of the house church promotes a “fivefold ministry” concept based on Ephesians 4:11-13, with apostles, prophets, evangelists, pastors, and teachers working with house church networks11. The “apostles” and “prophets” are recognized as leaders, moved by God to establish vision and purpose, seeking others to train to be “apostles” and “prophets”. The presence of apostles today is justified by Ephesians 2:20 and Revelation 2:212. Do the Scriptures teach a continuing line of apostles and prophets within the church? Such a view has many affinities with pentecostal doctrines and represents another manifestation of the charismatic movement within the house church movement. Many of the comments made previously are relevant here. Regardless, let us examine the nature of the apostles and prophets further. Being built upon the foundation of the apostles and prophets, Christ Jesus himself being the chief corner stone. I know thy works, and thy toil and patience, and that thou canst not bear evil men, and didst try them which call themselves apostles, and they are not, and didst find them false. Do these passages indicate that there are more apostles and prophets than present in the first century? Do false apostles in the 90s mean that more true apostles than John were around, too? What do the Scriptures teach about the apostles? Of the men therefore which have companied with us all the time that the Lord Jesus went in and went out among us, beginning from the baptism of John, unto the day that he was received up from us, of these must one become a witness with us of his resurrection. For I delivered unto you first of all that which also I received, how that Christ died for our sins according to the scriptures; and that he was buried; and that he hath been raised on the third day according to the scriptures; and that he appeared to Cephas; then to the twelve; then he appeared to above five hundred brethren at once, of whom the greater part remain until now, but some are fallen asleep; then he appeared to James; then to all the apostles; and last of all, as unto one born out of due time, he appeared to me also. For I am the least of the apostles, that am not meet to be called an apostle, because I persecuted the church of God. One was not automatically made an apostle because of one’s faith or training; the Twelve and Paul were especially chosen by God, saw the risen Christ, and met certain standards. These standards are impossible to achieve after the first century. This, along with the lack of any evidence of succession of apostles or prophets (along with the confession that the apostolic ministry needs “restoration”13), provides ample evidence to see that the apostolic office was held by a few select men in the first century to meet a specific purpose of God (cf. Matthew 18:18). Their office was not to be taken over by any other. Ephesians 2:20 is still true: for a church to represent a New Testament church, it must be built upon the foundation of the apostles and prophets. We all have that foundation from the writings of the Scripture, whereby we may have confidence that the apostolic doctrine is still able to be taught from its pages (Acts 2:42, 2 Timothy 3:16-17). We can see, therefore, that it is sufficient to trust in the apostles and prophets of the New Testament era, and that we must continue to devote ourselves to their doctrines. Some valid concerns and also some good research on the history of house church movements. One must also though look at the book of Acts as a model of house church for this is the first house church movement of the Lord.